Hollywood loves ‘synergy’, so with Disney have lots of success with live-action versions of its animated hits, it makes sense they’d want to make one that also taps into Tinsel Town’s desire increasingly tap into the ever-growing Chinese market. As a result, we’re getting a live-action Mulan. The film has now gone into production and to mark the occasion the first image has been released. Here’s the synopsis: ‘Production on Disney’s Mulan, a live-action adaptation of the studio’s 1998 animated feature, has begun. The film will shoot on locations in New Zealand and China and will be released in the UK on March 27, 2020. 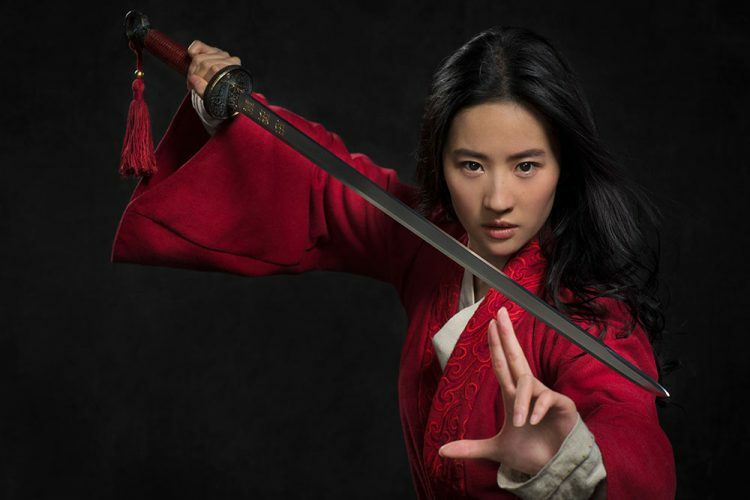 ‘Liu Yifei (The Forbidden Kingdom, Once Upon a Time) was cast as Hua Mulan following a year-long global casting search. Joining her in the film are: Donnie Yen (Star Wars: Rogue One); Jason Scott Lee (Crouching Tiger, Hidden Dragon: Sword of Destiny); Yoson An (The Meg); Utkarsh Ambudkar (Pitch Perfect); Ron Yuan (Marco Polo); Tzi Ma (Arrival); Rosalind Chao (Star Trek: Deep Space Nine); Cheng Pei-Pei (Crouching Tiger, Hidden Dragon); Nelson Lee; Chum Ehelepola; with Gong Li (Memoirs of a Geisha, Raise the Red Lantern) and Jet Li (Shaolin Temple, Lethal Weapon 4). ‘Mulan is the epic adventure of a fearless young woman who masquerades as a man in order to fight Northern Invaders attacking China. The eldest daughter of an honored warrior, Hua Mulan is spirited, determined and quick on her feet. When the Emperor issues a decree that one man per family must serve in the Imperial Army, she steps in to take the place of her ailing father as Hua Jun, becoming one of China’s greatest warriors ever.